All about getting the word out, promoting poets & poetry that I like. 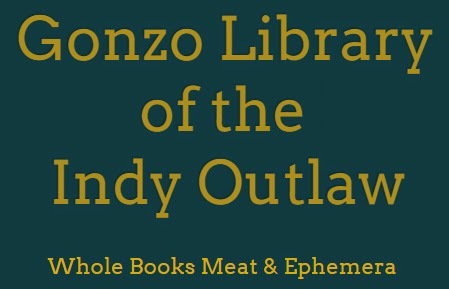 I love your blog Gonzo Library of the Indy Outlaw - an incredible resource of out of print material. How did it come about? Thanks. Bree from Green Panda Press set up the blog, and came up with the name, & uploaded some pubs to it early on. I'm glad she did, because I enjoy posting to it, gives me something to do, keeps me out of trouble. Word has it that you've been putting out zines since 1988 (not to make you feel old but I was born in '87), how do you maintain the passion to keep on going? I turned 50 last October. Still have the same interests I had as a teenager (and the same curiosity and enthusiasm). Poetry and Music are infinite, so many connections, you can just keep digging forever and always find new (to you) poems and sounds. How did you get in to poetry initially? I wrote a poem in 9th grade home room. Next day I wrote another one. I was stoned like I was every morning in home-room. I showed them to my Art teacher. He said they were poems, and to keep writing them. 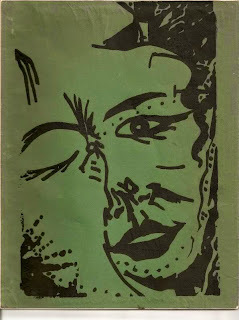 He also told me to read, and handed me a copy of Richard Brautigan's Trout Fishing In America. This was September 1979. Not long after that I read an article about The Beats and City Lights Books in High Times magazine. I ordered a bunch of Allen Ginsberg books from City Lights. I really identified with him and dug his poems. 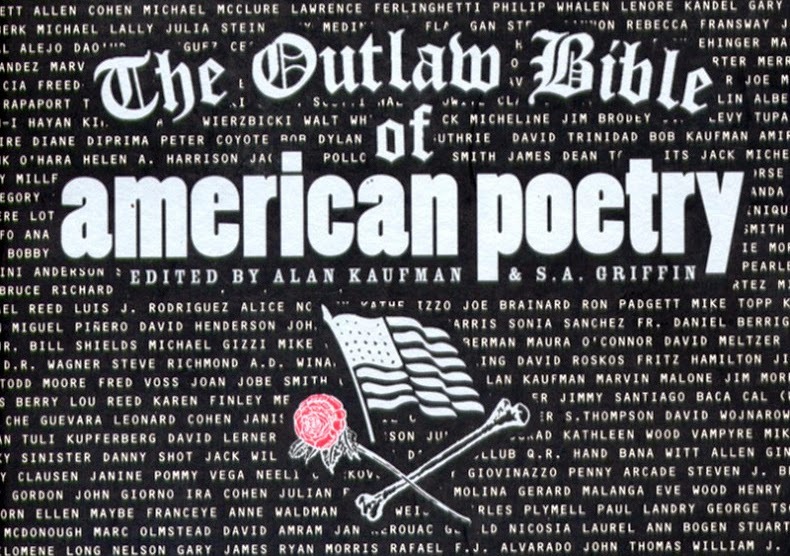 It must have been a proud moment being featured in The Outlaw Bible of American Poetry?- a who's who of American poetry. Yes. I am very happy about being in there, having been included, in such great company. Who are your favourite poets outside of America? William Blake & François Villon. 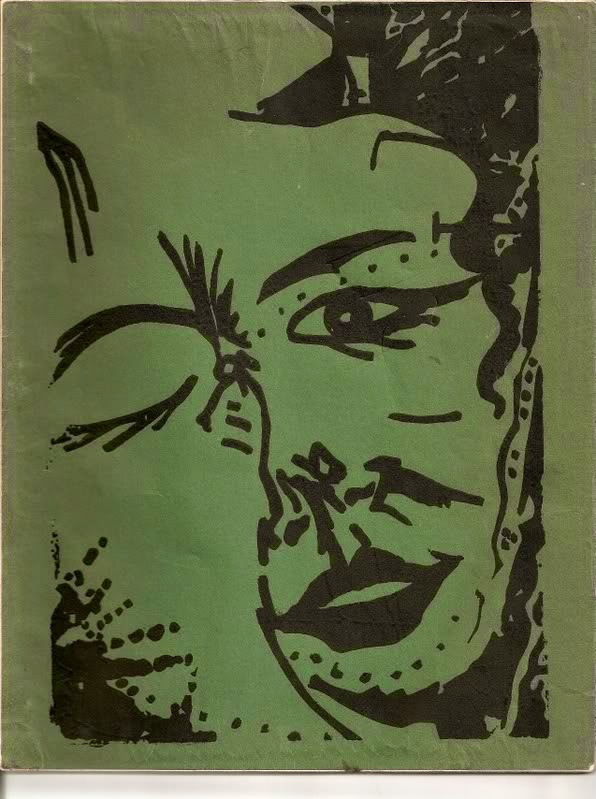 You've published a lot of work by the late Kell Robertson, for anyone who has never heard of Kell or read his work, can you tell us a bit about him? 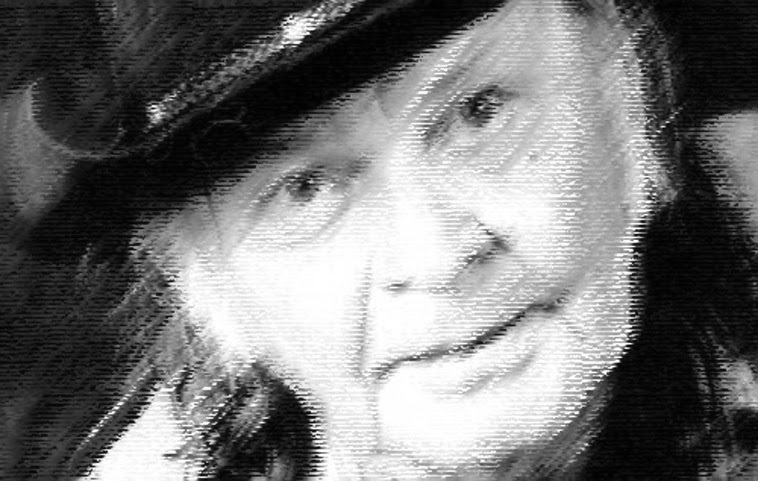 Kell Robertson was a real poet, born into it, he didn't have any choice but to SING. It was always all about the SONG. And it is an American Song. He lived a hard life, in abject poverty a lot of the time, but that life was the crucible through which he forged his poems. Poems that could only have been written by him. Whenever we miss Kell, all we have to do is read one of his poems and hear his voice, and there he is, alive again, singing. He also had a great sense of humor, and was a bit of a goof. He was a great letter writer. He lived in a shack in the desert last few years of his life, didn't have the internet or do email. He wrote long wonderful letters by hand and with a manual typewriter. His letters are poems. Had the pleasure of meeting him in person a few years before he died. Went out to his place with several other poets and spent an afternoon with him. He was a gracious host. It was an honor to have been pen-pals with him and to have worked with him on a couple chapbooks. Are there any poets that you've discovered recently that you're really excited about? Or anyone we should be keeping an eye out for? That could be a long list... Start with the table of contents page for any STREET VALUE or BIG HAMMER magazine. Recently? Got some poems from Jakima Davis in the mail, published one in last STREET VALUE, and have since seen more of her poems. I like her energy, and her poems. She'll be in the next zine I publish. I also came across a poet named Jeffrey Rush, Jr. recently. He was in last Street Value and will be in the next one. Found his work on PRESSURE PRESS PRESENTS which is an online poetry group that the poet Ron Androla started. Pressure Press is also the name of Ron's press. A few other poets I've been publishing since the beginning who everyone should be keeping an eye out for are Ken Greenley, Matt Borkowski & Joe Weil. Good friends and mentors to me when I was a young poet. Ken has several new books out which can be easily bought online. He's also represented on the blog. Joe is also featured on the blog and has several books out, easily had online. Matt's book is out of print but can be read cover to cover on the blog; it's called UPTOWN DOWN! What is it that you look for in a poem? What gets your blood pumping? That's hard to articulate. I know it when I see or hear it... Again, the best way to see what kind of poetry I look for, is to look at what I've already published (which ya can do for FREE at the blog). I listen for what William Blake called "the voice of the devil". What was the last collection you read that blew you away? Cockroach Hotel by The Willie; & several back issues of Kurt Nimmo's PLANET DETROIT. What does the future hold for David Roskos and Iniquity Press? 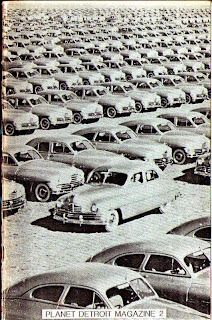 I have a big trade paperback collection of my poems coming out later this year from REDUX CONSORTIUM: Cat In The Sun Press. It's called Lyrical Grain, Doggeral Chaff, & Pedestrian Preoccupations. Far as Iniquity Press goes, just gonna keep on publishing BIG HAMMER & STREET VALUE. Thank you for answering these questions, David. Find the latest copies of BIG HAMMER and STREET VALUE on the Gonzo Library of the Indy Outlaw blog and find two of his poems in issue #5 of PAPER AND INK LITERARY ZINE.